Paris Orly Airport (ORY) is the second largest airport in Paris, located 14 kilometres (nine miles) south of Paris. Orly Airport Paris mainly handles domestic and charter flights, hosting around 30 airlines and 25 million passengers annually. ORY Airport's two spacious terminals provide travellers with a range of quality amenities including duty-free shops, restaurants, bars, banking, post offices, business, first aid, family and special needs facilities. Paris Orly Airport also showcases a notable art collection and has a large observation deck. Orly Airport's close proximity to the capital city of France allows for fast transfers by rail to central Paris: the Orlyval train service runs to the RER Antony station, and regular Orlybus and Air France services operate between Denfert-Rochereau and Orly. A choice of car rental providers, privately operated shuttles, taxis and limousines are also provided at Orly Paris Airport, along with ample parking options. Paris Orly World Airport Guide provides you with access to a complete selection of Paris airport hotels. 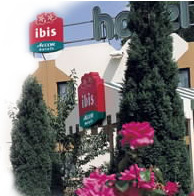 Utilise the discounts offered directly from the hotel, with the assurance of secure booking. 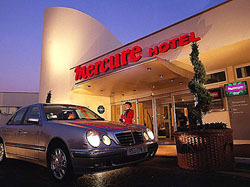 Extra services include airport car rental, airport car parking and flights to and from Paris Orly Airport. Go to Paris Charles de Gaulle International airport guide. Please note: The term Paris Orly Airport ORY as well as all associated graphics, logos, and/or other trademarks, tradenames or copyrights are the property of the Paris Airport authority and are used herein for factual descriptive purposes only. We are in no way associated with or authorized by the Paris Airport authority and neither that entity nor any of its affiliates have licensed or endorsed us.